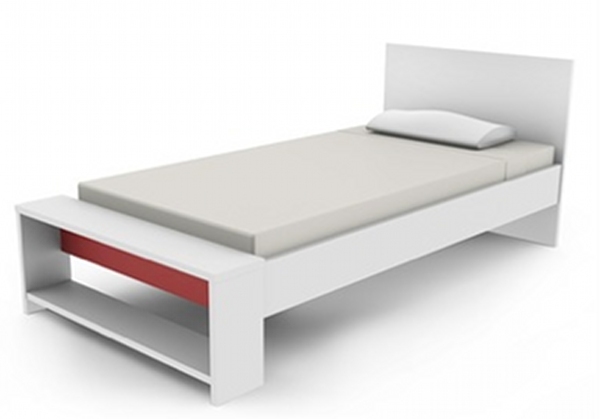 Cool KD kids’ furniture at Buyster! We noticed this fabulous range of furniture for kids at Buyster and couldn’t believe the prices! It’s gorgeous design at tiny prices and we couldn’t help but share the find with you. The KD Squiggle range comprises all you need for setting up a child’s bedroom; there’s the very groovy Squiggle Kids Bed for starters, which is just $167.40 right now in a Single size, or add only $20 to get the King Single. 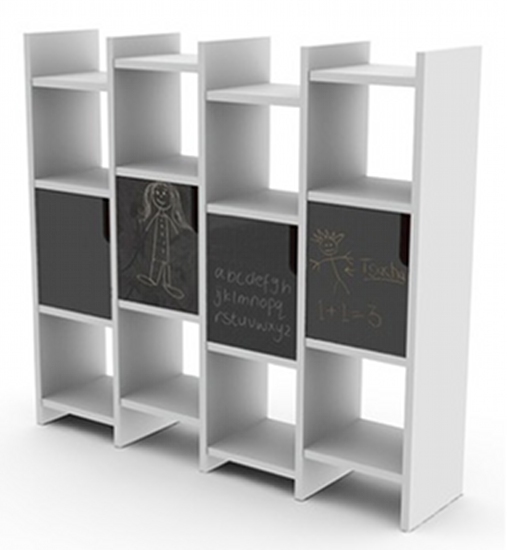 The Squiggle Storage Unit is my personal favourite and is an absolute steal at only $199. 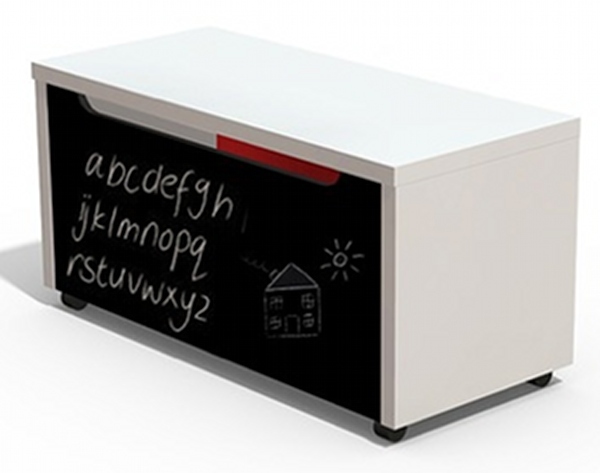 One of the features of the Squiggle range, is of course the chalkboard panels! 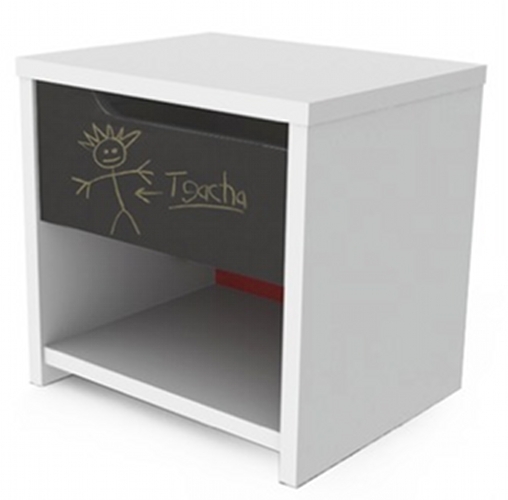 Look at this great, modern Squiggle Toy Box – it’s just $99. I would make a pad for the top so it can double as a comfy reading spot. Here’s the matching Squiggle Bedside Table. Plenty of room for books and knick-knacks and only $64.50! 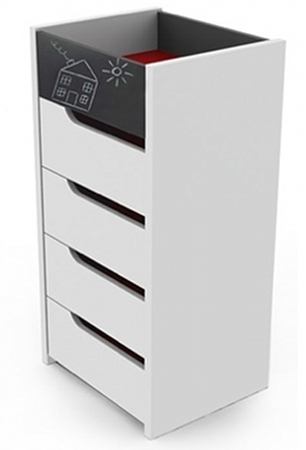 The KD Squiggle Tallboy for extra drawer space – $152.50. Now get ready for the desk! Set them up for hours of creativity with this gorgeous Squiggle Desk. We just love the attached blackboard – it’s a miniscule $89.70! 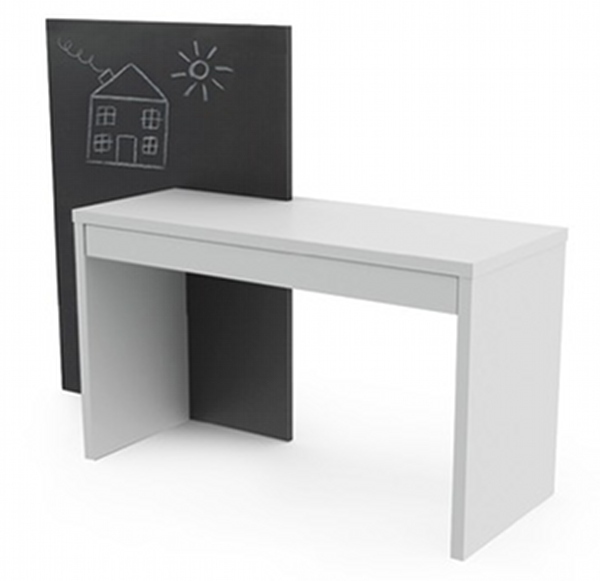 If you prefer a plainer desk, there is the Basix Desk in white and in black for $169 each. We think you’ll be as impressed as we are with the great looks and pricing of the KD Squiggle range. It’s on sale just in time for all the back to school purchases! These special prices are only for a limited time.